I recently had the opportunity to interview gospel artist Shea Norman to discuss his debut release on the F Hammond Music and Verity record labels. Shea is a very talented and anointed singer and musician who has the unique ability to sing both traditional and contemporary gospel, and be comfortable doing so. Many of you will recognize his title track, “My Heart Depends on You,” from Fred Hammond’s 2001 release of, “In Case You Missed It…And Then Some.” It has been said that Shea Norman is one of the best new voices in gospel music. This is not an easy thing considering the recent successes of the hot debut CDs from Kierra Sheard and J Moss. However, after listening to Shea’s recently release CD, I quickly discovered that such claims are not unfounded. I found Shea Norman’s voice and sound to be very refreshing. And, in my opinion, he may very well be one of the best new voices in gospel. As I spoke with him it was apparent that Shea is an impressive young man who loves the Lord and is rooted and grounded. I think you will be hearing quality gospel music from him for many years to come. 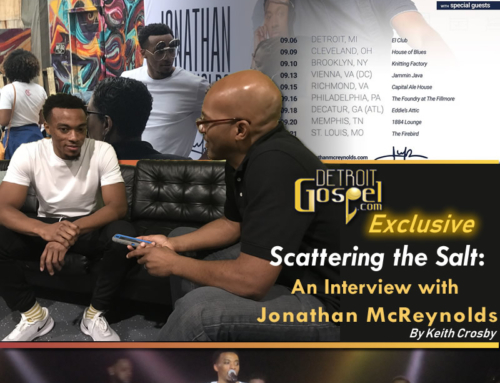 Here’s what he had to say about his new release, how he hooked up with Fred Hammond, and his music. 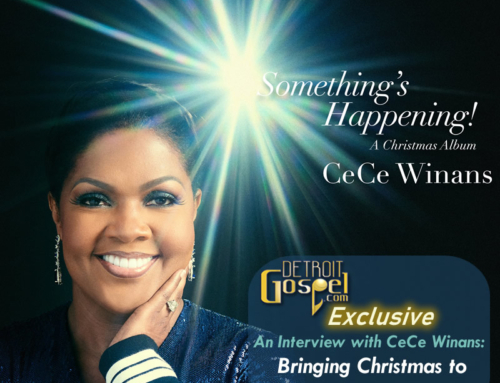 DG.com: Shea, on behalf of Detroit Gospel.com and our staff, I want to thank you for your time! DG.com: First of all, where is your hometown? DG.com: How did you hook up with Fred Hammond and his record label “F Hammond Music”? Shea: A few years ago Fred came through Memphis while on tour with Yolanda Adams, Donnie McClurkin, and Men of Standard; and one of the disc jockeys here called me because something had happened with the after-party band and asked me if I could do it about an hour before Fred was to get there. I started not to do it but honestly the Spirit of God told me to do it. I agreed and had to call all my people at the last minute, and my band met me at the place. We started playing and Fred came through and heard us, and afterward he invited me out to talk. We talked and it was very encouraging to hear him talk to me at that particular time because he talked to me not just from a singer standpoint, but a lot of things he shared with me that night really hooked up with the purpose and confirmed some things. So I knew this was a divine hook-up from God, you know. DG.com: What’s it been like to work with Fred Hammond? Shea: Man, it’s been wonderful, very unique. Down through the years…the past 20 years, I’ve been working side by side with my father. He was our jurisdictional music minister in the Church of God in Christ. He worked with The Clark Sisters, and Mattie Moss Clark when she was living, and through that I got a chance to meet them, Timothy Wright, and others. From that point on, up to now, I’ve met artists like Fred and Deitrick Haddon. You find out that each artist is unique in their own operation and how they go about doing things. You learn to respect that. I’ve learned a lot from Fred’s angle of how he does things; his outlook on the business, and the gospel side, even to writing songs. So, it’s been a blessing to me. DG.com: Who have been your biggest influences musically? Shea: Stevie Wonder was the first person to get me to sing out. Back when I was like 7 or 8 years old, I was so impressed after seeing him on television that I became infatuated with having to watch him every chance I got. To be honest, I really didn’t know that I could sing on a certain level. It took other people in my family telling me that, ‘you do things that children normally don’t do.’ I started listening to him [Stevie Wonder], and the late Rev. James Moore, who was a family friend of ours when I grew up. The bigger influences after that were Vanessa Bell Armstrong, and Daryl Coley. I’ve been a long time fan of theirs, and just pretty much anybody that had a uniqueness; an anointing; that had something different to bring to the table. It’s a lot to be appreciative of. DG.com: How would you classify your music if you could? Shea: I don’t know, it’s kind of hard coming from the diverse background that I have. Plus, my dad worked with everybody back in the day. Doing workshops for Baptist churches, Church of God In Christ, Methodist churches, wherever God led him he was willing to work with people. That came over to me and my character as far as broadening exactly what I sing and how I sing it. So I’m pretty much versatile where I can go from quartet to church. I’m really a worshiper at heart. I love a lot of jazz. That’s just my flavor. There are just a lot of different avenues and different characters in me, but it’s all good. It’s all worship and praise. DG.com: What’s the inspiration behind your new CD “My Heart Depends On You”? Shea: I was always praying and I’ve always looked at other artists and helped everybody else down through the years. I just knew in my heart that I’ve never been anxious to do a CD. I always just watched and learned and took down notes over the years. The first thing I always said was, “God, I’m just going to trust You,” and that’s been a main title from me to Him. I just tired of church as usual. To go from that point, I was just praying that I wouldn’t get anxious and get hooked-up with the wrong person. Someone who would want to put me out wrong or wants me to sing something that didn’t fit me, per se. Then Fred called me and said he had a song that he wanted me to sing on his compilation CD. I said, “Cool.” Then he called me again and said the song was, “My Heart Depends on You,” and I was like, ‘that sounds strangely familiar.’ Then I remembered I had recorded that back in 1991, and I was like, ‘that’s my favorite song.’ They flew me to Detroit and we did the track and gave it a completely different flavor. I was outdone. I said, “Thank you Father.” This song really portrays what I’ve been preparing for – that my heart really depends on Him to guide me through this. PRODUCED BY: “Big Al” Asaph (Alex)ander Ward for Miralex Productions Inc.